My apologies, I started a post a couple days ago & was fixed that very same day by helpful folk on here n’ totally slipped my mind as a newbie to post an introduction. Name’s Jason & stationed down here in Corpus Christi, TX. Currently serving in the USCG as an aviator/mechanic/aircrewman of near 16yrs. Came here from last unit in Hawai’i 3yrs ago n’ love this state & what they stand for/believe. The Lord is strong in the people’s hearts down here. Let’s see, been on 2’s since age 8, & started street at 19. At 41 now, 6mo ago acquired a cherry mint ‘08 Roadie with 19k mi & now just under 23k. 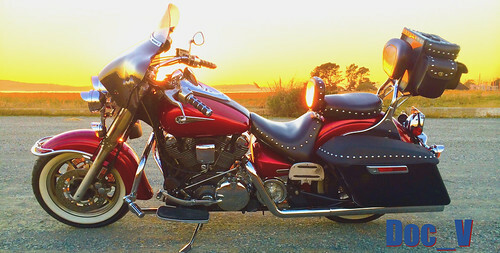 I sold my immaculate ‘04 Victory Kingpin a month before I bought the Yam, thinking of priorities. But, after a month of moping around, the Mrs said get a bike haha. Always been a Yam guy, n’ had my share of sport bikes as well. We’re fans of MotoGP & she used to ride as well, but bein’ Japanese n’ very short, she’s wantin’ a Can-Am down the road. Anyways, thanks ahead for the welcomes! Thank you for your service, from Plano Texas. I think I posted this welcome in your other thread, but again from Oregon! I was stationed at the NAS Hospital in Corpus during 1965 before being sent to Vietnam. What I remember most in the summer it was hot and humid. Wish I could remember the name of the Seafood Restaurant that had a great seafood platter. It was on the main road into town that ran near the water. From Richardson, Tx. My last duty station was Pearl Harbor, 30 yrs ago, and the only Japanese woman I knew rode a RD400, competitively, that she rebuilt herself. My twin sisters (one recently retired after 34 yrs in the Navy, as a LCDR) live in CC, And my shore duty was in Kingsville, so I'm familiar with your new stomping grounds. That road would be Ocean Dr, that enters the back gate of the base. Haven’t eatin’ there, but believe I know which place ur talkin’ about. Not sure if it’s the same name as back in ‘65, but now is called Yardarm. We actually just moved off that base this past January after decades of bein’ there. We have a brand spankin’ new hangar & Sector out near the CC airport. Small world, eh? Ya, loved Hawai’i. My wife is the same way. She rode strictly sport bikes n’ wrenched them herself. She’s from Japan obviously, but has lived in Hawai’i since the ‘80s & is a co-owner of a catamaran cruise line down by Magic Island. Goes home twice a year for business meetings & earlier this year when she was there, she said to be above the poverty level, one would have to make at least 84k/year. & right now, in local groceries, a gallon of milk is now $10. I couldn’t afford to live there if it wasn’t for the military. from Northwest Illinois. thanks for your service. Post often and ride safe!! from Conway, SC and thank you for your service. 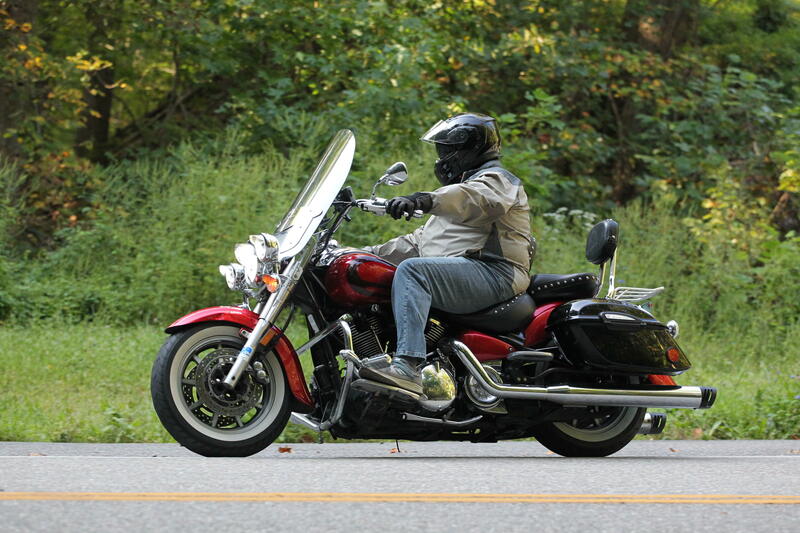 Ride safe and be safe. Thank you for your military service. I hope you enjoy the yamahammer. Must be nice to have year long riding weather.